Moms and Dads, have any of you noticed after tasting some of your children’s ice cream that your teeth are sensitive? Assuming you have had your annual cleaning and no decay (cavities), you may want to have your dentist check your teeth and explain your symptoms. You could have an abrasion lesion in your tooth. This is a groove in your tooth that is close to the gum line. This is caused by someone brushing too hard or too often. A simple solution. Take Sensodyne toothpaste (pink) and place a small dab directly on your tooth. 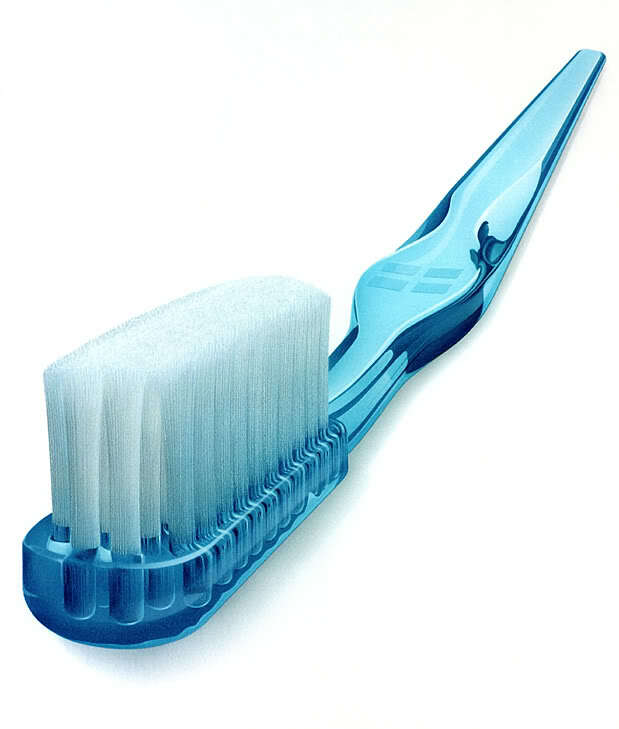 Brush for 2 weeks repeating this step with Sensodyne toothpaste on your tooth. Unfortunately, sometimes these areas are so deep, they must be restored (fillings). Just remember that your dentist is there to help! Schedule your regular check-ups and take care of any problems early!